The colors of Autumn fill the meadow of Chautauqua Park in Boulder, Colorado. 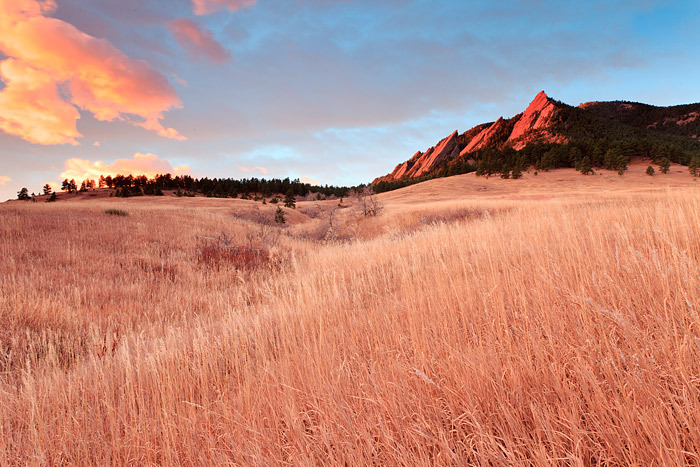 Bluestem grass is highlighted by the fire like sunrise over the famous Flatirons. Photo © copyright by Thomas Mangan.